Throughout the history of our great state, we’ve always been able to accomplish great things together. 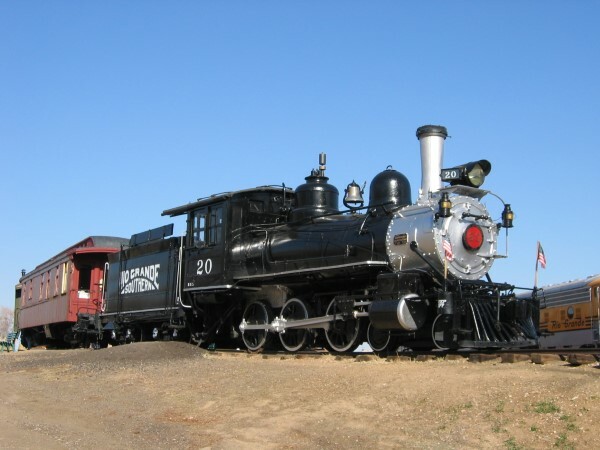 And today, we ask you to come alongside and help us preserve one of Colorado’s grand narrow-gauge locomotives and put Rio Grande Southern No. 20 back into service. Please join us in the final stages of restoring No. 20, and take pride and satisfaction in what we hope will be your generous donation toward this gold nugget in Colorado railroad history. If you are interested in supporting Rio Grande Southern No. 20 Campaign through stock, real estate, insurance, legacy giving or estate assets, we will set up a meeting with the Museum, leadership to make arrangements for your gift transaction.